(Photo: The Johnston House before it was restored. The historic house is open to the public–check with the HMB Chamber of Commerce for the schedule). Few, if anyone, had managed to maneuver wheeled vehicles of any kind over that mountainous barrier. But the Johnston brothers perservered and triumphed over the geographical obstacles by gingerly lowering the wagons with ropes. Half Moon Bay’s Spanish-speaking residents welcomed James Johnston and his Spanish bride, Petra. He further ingratiated himself with the locals by constructing a real American house, a “saltbox-style” farmhouse that was used as a social gathering place for Spanish and American guests. Known as the “White House of Half Moon Bay”, the landmark has been beautifully preserved by the Johnston House Foundation. Miramontes’ adobe house–where his midwie daughter, Carmelita lived after her marriage to Francisco Gonzalez, a ranchero’s son from Pescadero–stood on Mill Street, east of Main in Half Moon Bay. Tiburcio Vasquez built his five-room adobe on nearby Pilarcitos Creek and Francisco Guerrero erected an adobe on a hillside northeast of Princeton. But it was Vasquez and Guerrero’s huge Corral de Tierra that evoked notions of the romantic Spanish past. Round-up time was the occasion for festive rodeos lasting for days. It was time for celebration. There was feasting and music as the vaqueros vied to prove their superior horsemanship. While they enjoyed the competition, the vaqueros still had business to do. They lassoed cattle chosen for slaughter, branding the other animals and releasing them to roam for another year on the Corral de Tierra. The “bandit” Tiburcio Vasquez, not to be confused with the ranchero by the same name. 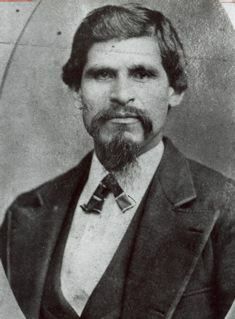 On one of the happy occasions at the Corral de Tierra, a member of the Miramontes family wa shocked to see the mischievous bandit Tiburcio Vasquez, the ranchero’s nephew. The young bandit reflected the darker side of relations between the Mexicans and their new neighbors, the Americans. This Vasquez thirsted for revenge, scouring the countryside stealing horses and robbing stagecoaches. 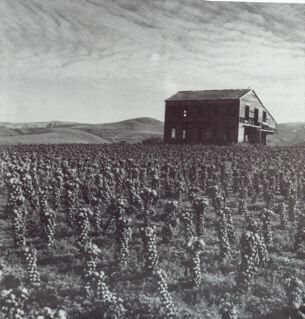 Photo: courtesy San Mateo County History Museum. Please visit the museum at the historic Redwood City Courthouse in Redwood City.